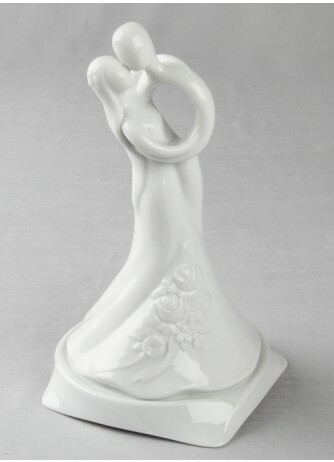 This Love Entwined Ceramic Cake Top exudes love and romance. Can be used as a wedding cake top or a cake side statuette. Also features an integrated base.